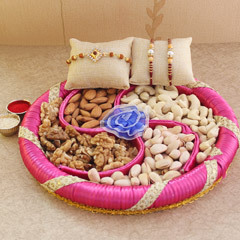 Rakhi with Dry Fruits is a trend that has emerged widely. 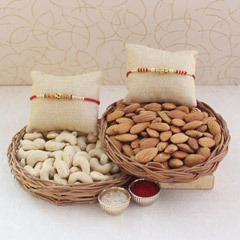 The norm of gifting dry fruits has been around for a long time. 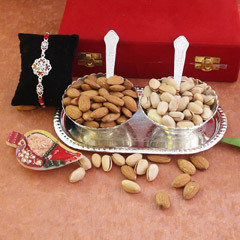 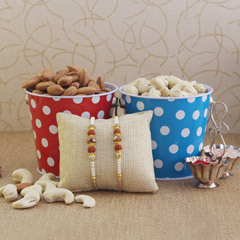 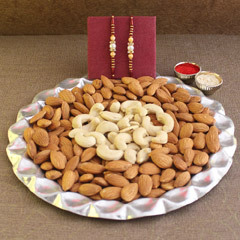 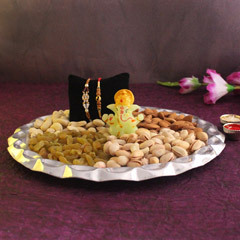 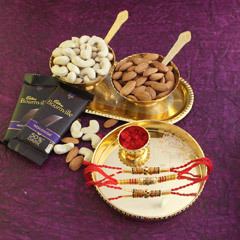 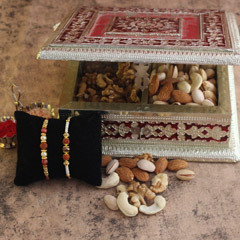 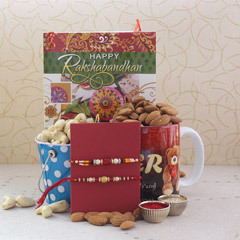 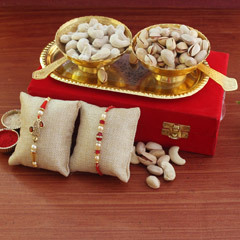 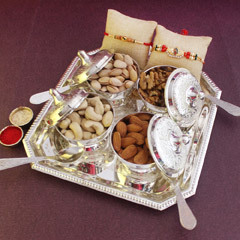 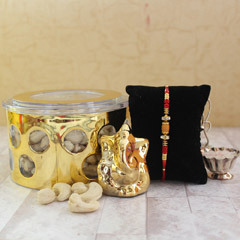 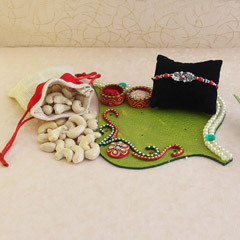 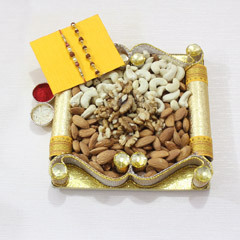 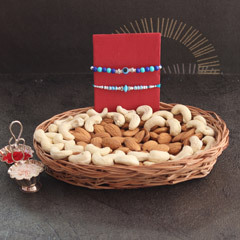 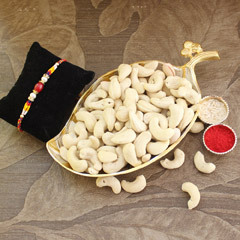 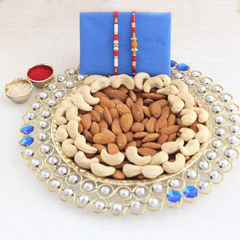 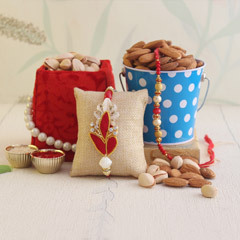 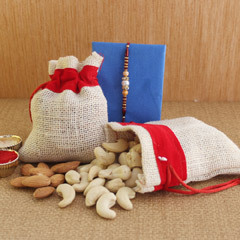 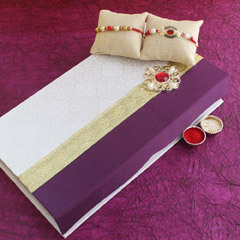 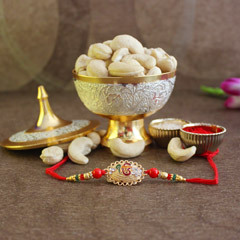 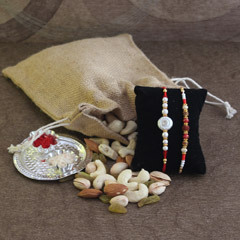 At Sendrakhi.com, you can choose from a delightful range of rakhi with dry fruits combo together. 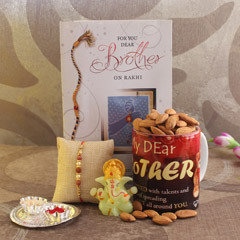 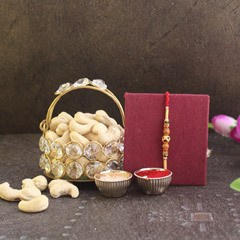 On the auspicious day of Raksha Bandhan what better way to surprise your Bhaiya than having a Rakhi delivered to his doorstep with dry fruits and gifts. 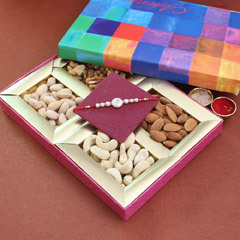 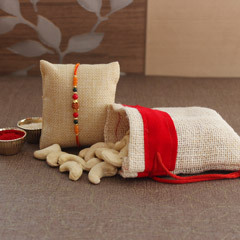 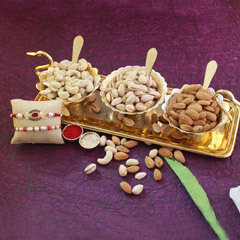 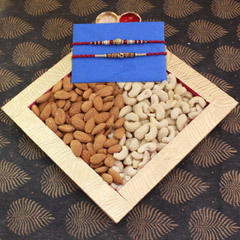 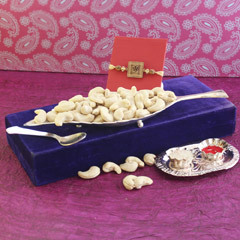 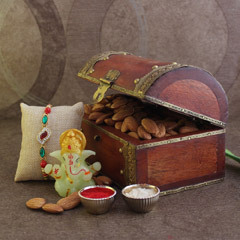 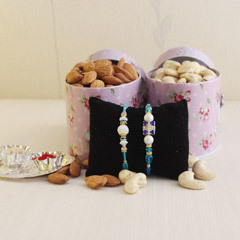 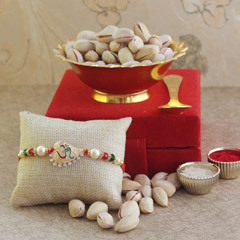 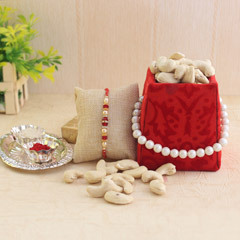 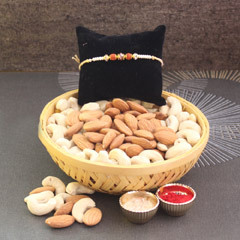 You can combine a vast array of Rakhis with your dry fruits. 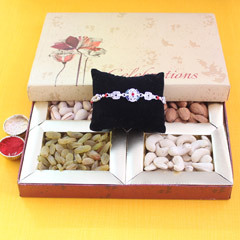 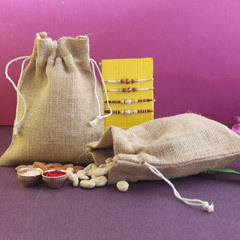 Shop online for Rakhis with dry fruits without stepping out of your house. 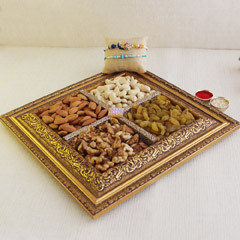 Choosing dry fruits as a gift along side is an excellent choice as your family does not have to worry about it being spoilt and can relish it for a very long time. 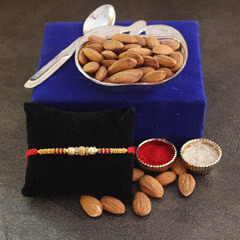 When you purchase this Rakhi combos from our site, you need not worry about how it will reach your brother and fortify the sacred bond between him and his sister. 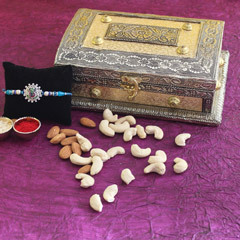 When you buy from this website, we provide hassle-free Delivery across the globe. 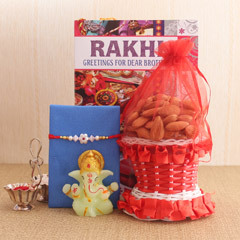 There is also the option of express and same-day delivery in select locations when you pick the Rakhi with Dry Fruits gift set.